Ah, beautiful Copenhagen, the land where my bank account almost went to die. Seriously, I have never had to consciously remove myself from a store for fear of buying so much before. If you like interior design, but you’re poor, never go to Copenhagen. You have been warned. Anyways, the final stop on our European adventure was indeed Copenhagen, and I think we both liked it a lot more than we imagined. This was partly because of the amazing interior design, and design in general. We just happened to be there during “Design Week” where all of the firms opened their doors to the public. We got to see amazing kitchens, furniture, lighting, and other beautiful things that I will probably never be able to afford…but I digress. The food in Copenhagen was delicious, as with the rest of the trip. Everyone always says Scandinavia is so expensive, which it definitely is, but I felt like Copenhagen had a lot more affordable options than Stockholm did. Let’s start with perhaps the most important restaurant from our whole trip: Joe & the Juice. Now I don’t know if they have this place in other countries or what but it is allllll over Copenhagen. The first time we went was during our first layover of the trip in the Copenhagen airport and the rest is history. 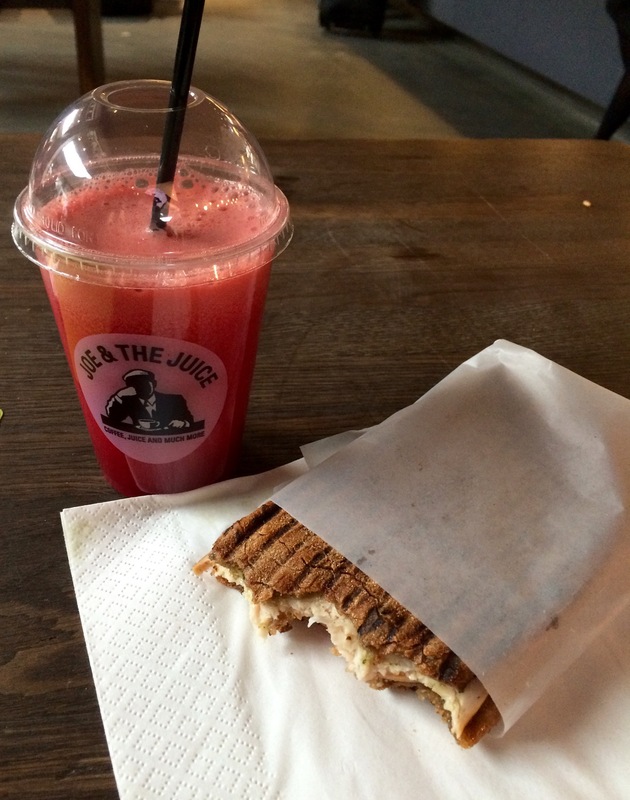 I think we ended up going to Joe & the Juice at least five times during our two weeks abroad. It was seriously so good! Its so simple, all they have is fresh pressed juice and flatbread sandwiches, but they’re so good! I got a bunch of different juices, so I couldn’t even begin to tell you what’s in the one pictured above, maybe beet juice and something? I don’t know. It was a little expensive for what it is, but it was sooo delicious and I really wish we had something like this here in Raleigh. We decided to come here per the suggestion of Estee Lalonde in her Scandinavian vlogs. The owners of this restaurant have quite a few restaurants around Copenhagen, all with different themes and menus. I believe Madklubben is the most affordable of them, but it is still really nice. They served all sorts of traditional danish dishes, as well as not so traditional dishes with a danish twist. I think the word is “New Nordic”? That could be something totally different, what do I know? But anyways, everything here was incredibly fresh and tasted homemade. 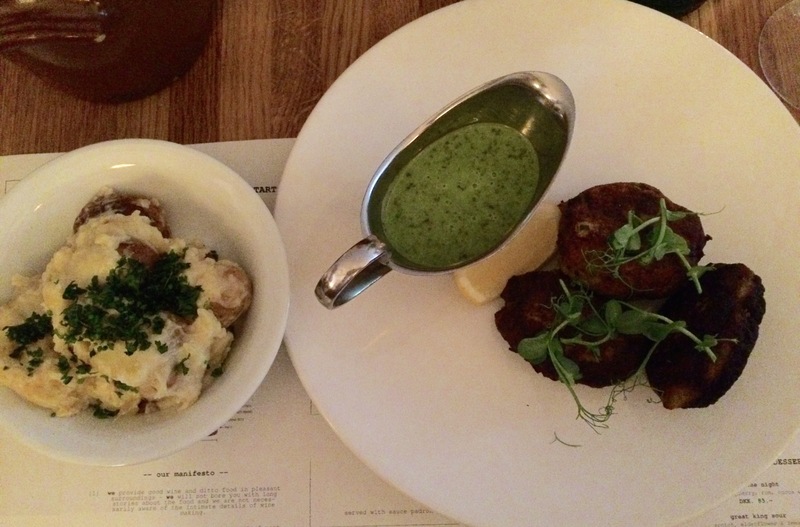 I decided to go with a more Danish dish and got cod-cakes with a dill sauce, as well as mashed potatoes on the side. 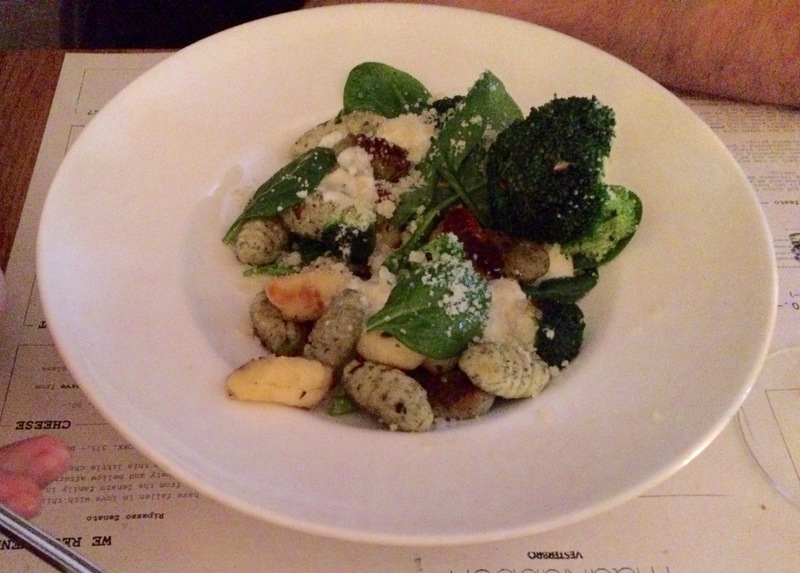 Sam went with gnocchi, which had its own little Madklubben twist. And of course we couldn’t resist dessert. 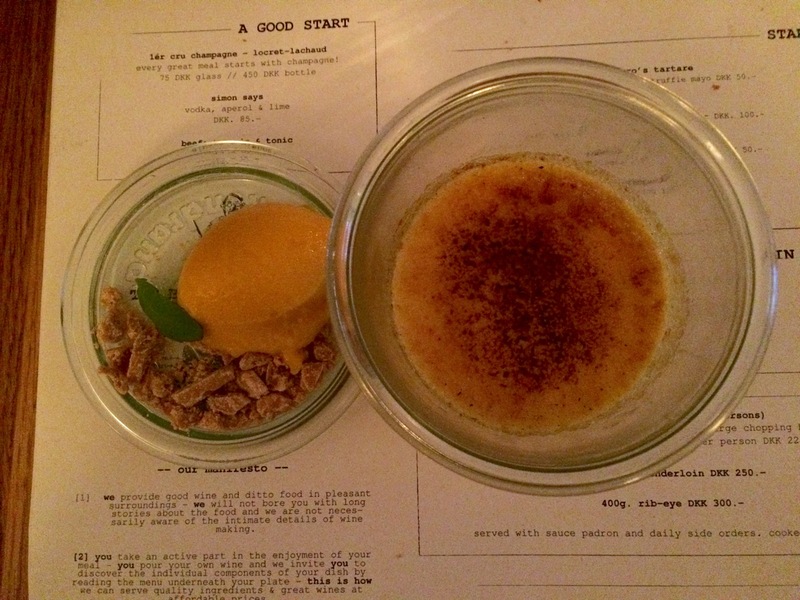 We both got an amazing creme brûlée with a little citrus twist to it. Overall this meal was one of my favorites, and I would definitely recommend checking out Madklubben, or any of their other restaurants, if you find yourself in Copenhagen. 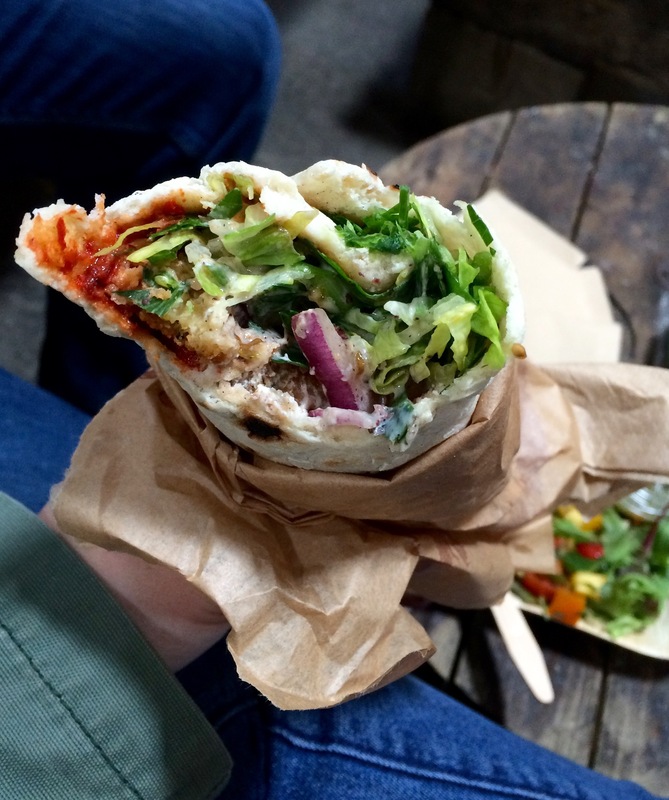 The Paper Islands is a big warehouse filled with food trucks, kind of like the Foodhallen in Amsterdam. There were lots of different ethnic options, as well as snacks, desserts, and all sorts of thing. While it was good, I think I preferred the food offered in the Foodhallen a little more. But anyways, I ended up with a falafel wrap from one of the Mediterranean trucks and Sam ended up getting a Chorizo plate. We also got some ice cream to top it all off. This is just another example of all of the affordable options in Copenhagen. Do be aware that this place is a little difficult to get to, at least from where we were staying. My GPS tried to take us across a bridge that was only halfway built… so maybe don’t go that way. 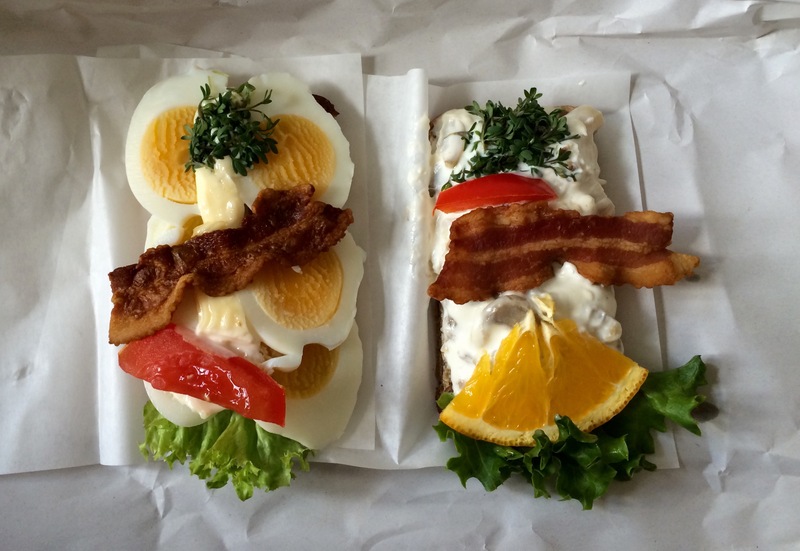 Another traditional Danish dish is Smørrebrød, which is essentially an open faced sandwich made on a special, crunchy brown bread. 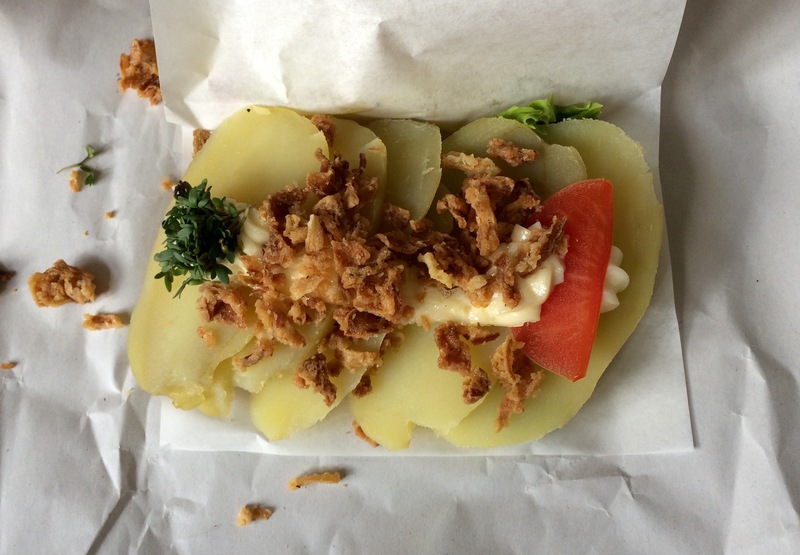 I had seen Rita’s a few times online when doing some research about where to eat in Copenhagen, and many sources said this was the best place to get an authentic Smørrebrød. Imagine my excitement when we got to our Airbnb in Copenhagen and Rita’s was literally right across the street! These babies were only about $3 each, so we both got two to try. I ended up trying the egg sandwich and the chicken salad sandwich, and Sam got one with potatoes. They were all really good and made for the perfect lunch. This pizza was so good that I accidentally forgot to take a picture of it until there was only one slice left. Like I’ve said in previous posts, we got pizza in each country we went to, and I think this was my favorite of them all. One night we were just really tired and wanted to relax, so we just got some takeout pizza and we somehow got lucky enough to find this glorious place. I was a little hesitant because it seemed to be so much cheaper than all of the other pizza places, but oh man was is it good. The menu was all in Danish, so I had to put everything into Google translator until I found one that sounded good and just went with that. 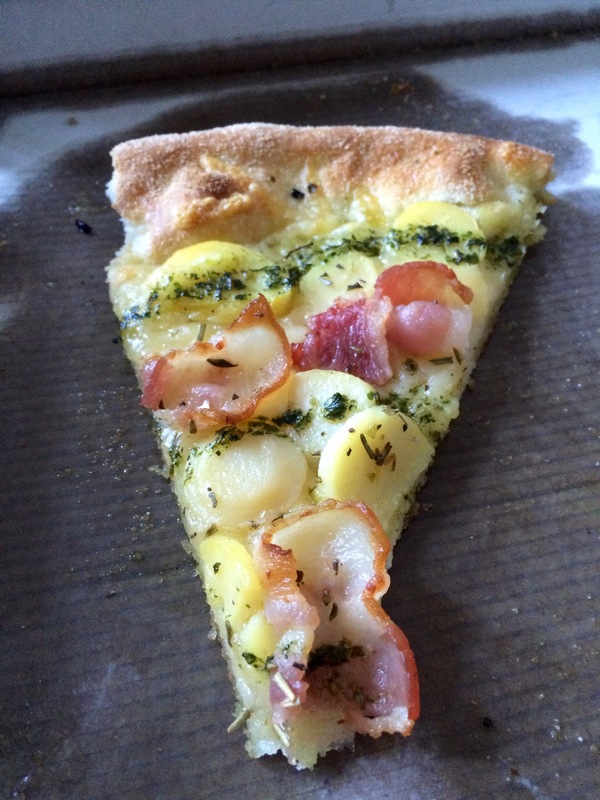 I got a white pizza with potatoes, bacon, and pesto. You guys, if you haven’t had potatoes on pizza you need to try it immediately. It was amazing! So if you’re in Copenhagen and craving a lazy night in with some pizza, this is the place to go. This was another lucky find right near our Airbnb. We kept seeing posters for it that looked delicious, so we looked up the menu and it ended up being really affordable as well, in addition to being located right around the corner. This is a little noodle bar where you can essentially build your own dish. 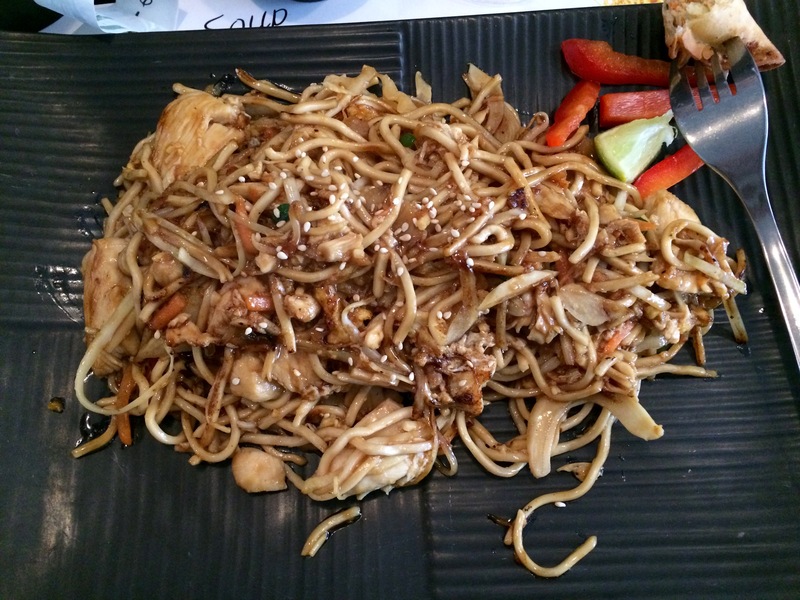 You choose the type of noodles, the sauce, and any meats or veggies you’d like to include. They also had a few soups, as well as dumplings, egg rolls, and little dishes like that. I ended up getting Egg Noodles with Chicken and the Bangkok sauce, which was a red curry sauce. It also came with the traditional vegetables like carrots and onions. Overall it was really good, especially for the price. A random street hotdog which was stuffed into a french baguette instead of a bun. It was very hard to be mature while the hot dog was being prepared, but man was it good. Remember how I said I wanted to buy everything in Copenhagen? I resisted for the most part but I did have to buy something, of course. We were out and about one day searching for these cups that the girl who owned our Airbnb had and we came across the most amazing jewelry store. Everything in the store was handmade and dainty and beautiful. Sam ended up getting me this beautiful, simple necklace that I now wear almost every day. So if you’re into that sort of stuff, I would definitely suggest paying them a visit if you find yourself in Copenhagen.